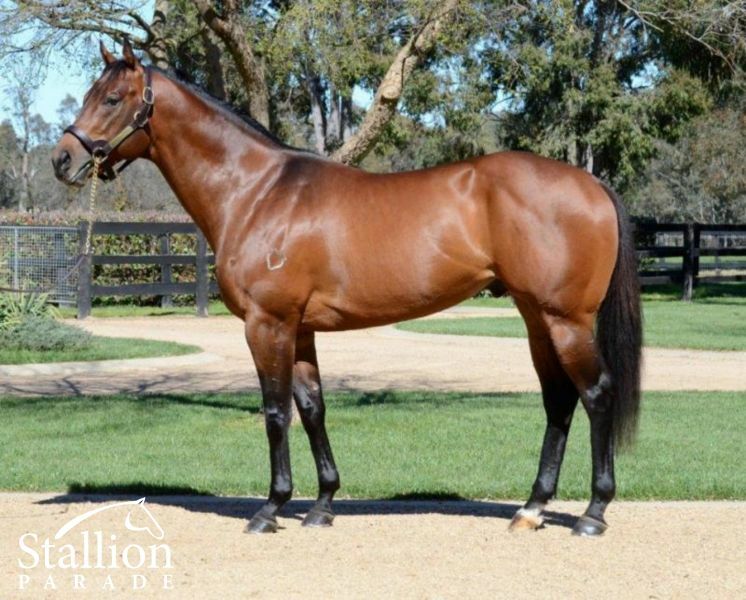 WAR Winner at 1300m, A$96,250, ATC Up & Coming S., Gr.3, 2d ATC Breeders' P., L. He entered stud in Aust. in 2014. 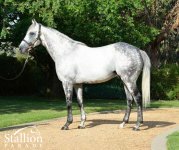 Sire of 18 progeny to race, 6 winners (33.0%), earnings of over $270,000, inc.
Kwai (15f, Delago Brom, Flying Spur). 2 wins-1 at 2-at 1000m, 1200m to 2018-19, TTC Gypsy Rose Launceston Cup H., 2d TRC Carbine Club P., 3d TTC Kevin Sharkie H.
All in Brawl (15g, Johannesburg, Geiger Counter). Winner at 2 in 2017-18, 2d MVRC Essendon Mitsubishi H.
Shadow Bridge (15g, Snowland, Mukaddamah). 2 wins at 900m, 1000m in 2018-19. Indicators On (15g, Rory's Jester, Caerleon). 2 wins at 1000m in 2018-19. Ourlordofwar (15g, Undoubtedly, Jackson Square). Winner at 1100m in 2018-19. Tugga War (15f, Elusive Quality, Peintre Celebre). Winner at 1100m in 2018-19. Kalmar (16g, Tale of the Cat, Quiet American). Placed at 2 in 2018-19, 2d SAJC TAB 2YO H.
Des Moines (15f, Umatilla, Delgado). Placed at 2 & 3 to 2018-19, 3d MRC Spicer Thoroughbreds 2YO H.
First Strike (15f, Canny Lad, Balmerino). Placed at 3 in 2018-19. Demilitarized (15g, Elvstroem, Take Your Partner). Placed at 3 in 2018-19. Sigrid the Haughty (15f, Viscount, Danehill). Placed at 3 in 2018-19. FENWAY (f by High Chaparral (Ire)) 3 wins from 1400m to 2000m, A$691,600, ATC Vinery Stud S., Gr.1, MVRC WH Stocks S., Gr.2, 2d VRC Myer Classic, Gr.1, SAJC Schweppes Oaks, Gr.1, MRC Peter Young S., Gr.2, 3d VRC Wakeful S., Gr.2, 4th VRC Australian Cup, Gr.1, MVRC Sunline S., Gr.2, VRC Vanity S., Gr.3, Schweppervescence Trophy, Gr.3. WAR (c by More Than Ready (USA)) Winner. See below. Frankel Star (c by Frankel) Winner at 1400m in 2018-19 in Aust. 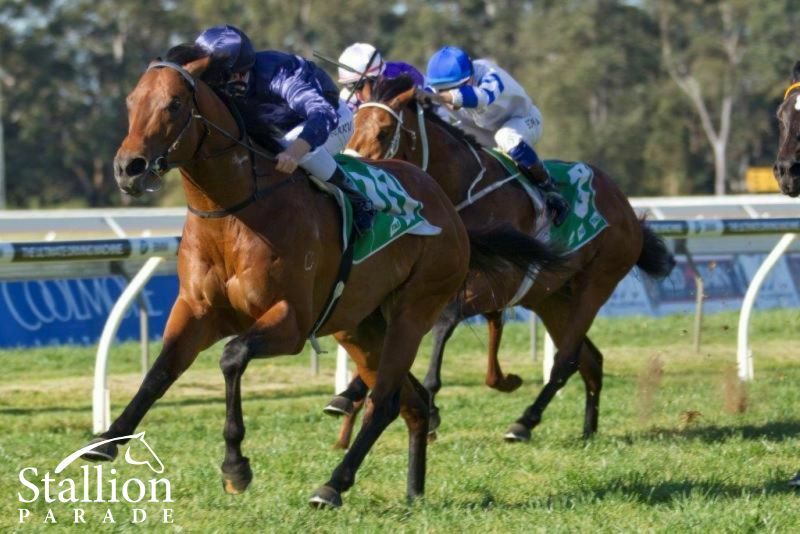 Fly Lightly (f by More Than Ready (USA)) Winner at 1000m in Aust. TUESDAY JOY (f Carnegie) Top filly on 2008-09 Australasian 4YO+ Classification. 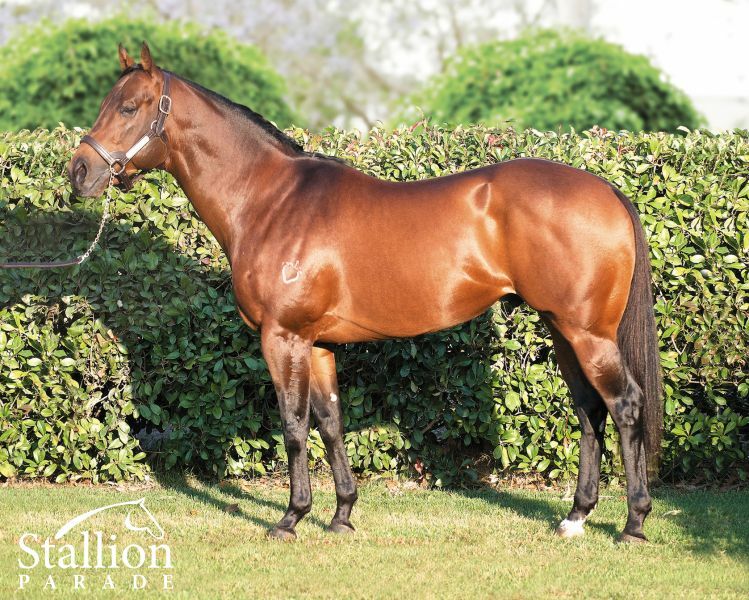 7 wins from 1400m to 2400m, A$3,239,450, STC BMW S., Gr.1, AJC Chipping Norton S., Gr.1, STC Coolmore Classic, Gr.1, Ranvet S., Gr.1, VRC Wakeful S., Gr.2, STC Apollo S., Gr.2, MVRC WH Stocks S., Gr.2, 2d AJC Chipping Norton S., Gr.1, VRC Oaks, Gr.1, AJC Surround S., Gr.2, STC Apollo S., Gr.2, AJC Sweet Embrace S., Gr.3, STC Gloaming S., Gr.3, 3d AJC Queen Elizabeth S., Gr.1, Australian Derby, Gr.1, Australian Oaks, Gr.1, 4th AJC Spring Champion S., Gr.1, STC Arrowfield Stud S., Gr.1, NSW Tatt's RC Furious S., Gr.2. Producer. MORE JOYOUS (f More Than Ready) Champion Middle Distance Horse in Australia in 2011-12. 21 wins-2 at 2-from 1100m to 2000m, A$4,572,450, ATC Queen Elizabeth S., Gr.1, Doncaster H., Gr.1, Queen of the Turf S., Gr.1-twice, AJC George Main S., Gr.1, Flight S., Gr.1, MRC Futurity S., Gr.1, Toorak H., Gr.1, ATC Breeders Classic, Gr.2, Canterbury S., Gr.2-twice, AJC Light Fingers S., Gr.2, Surround S., Gr.2, STC Reisling S., Gr.2, Theo Marks H., Gr.2, Tea Rose S., Gr.2, MRC Tristarc S., Gr.2, ATC Golden Pendant, Gr.3, STC Sheraco H., L-twice, Furniture One Show 2YO H., 2d ATC Canterbury S., Gr.1, 3d MVRC Manikato S., Gr.1, STC Sheraco S., L, 4th MRC Toorak H., Gr.1. Producer. Mary Marvel (f Fusaichi Pegasus) Winner at 1200m, STC Coolmore H., 2d STC Wilton Property Group H., 3d VRC Edward Manifold S., Gr.2. Producer. DON'T DOUBT MAMMA (f Not a Single Doubt) 7 wins-1 at 2-from 1000m to 1600m, A$640,610, VRC Let's Elope S., Gr.2, MVRC WH Stocks S., Gr.2, VRC Vanity S., Gr.3, Lexus Hybrid P., L, SAJC Redelva S., L, MRC Foundation P., SAJC Kingsman Secret Service 2YO H., 2d VRC AV Kewney S., Gr.2, 3d MRC Sandown Guineas, Gr.2, SAJC Book Your Event at Morphettville 2YO H., Guardian Insurance H., 4th MVRC Atlantic Jewel S., L.
RISEN FROM DOUBT (g Not a Single Doubt) 2 wins-1 at 2-at 1000m, A$176,240, VRC Maribyrnong Trial S., L, Schweppes Flemington Fling S., 2d SAJC Endeavour Quality Homes H., 3d ATC Silver Slipper S., Gr.2. Won the Group 3 Up and Coming Stakes. 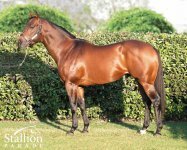 Fastnet Rock, Exceed and Excel, Snitzel, Testa Rossa, General Nediym and Marscay all won the Up And Coming Stakes before becoming top-class sires. By Proven sire and Champion 2yo Sire More Than Ready, same sire as Sebring. Half -brother to Group One winner Fenway, from the family of More Joyous and Thorn Park. Trained by Hall of Fame trainer Gai Waterhouse. “ He’s a very good horse in the making” after his win in the Up and Coming. First crop yearlings have sold to $155,000 this year.